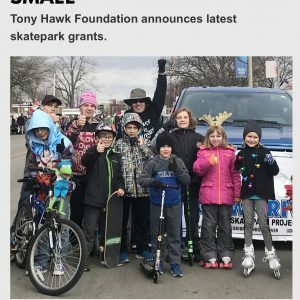 Congrats to Drop-in Downriver and Wyandotte, Michigan, where community and local leaders worked together to earn a Built to Play Skatepark Grant! 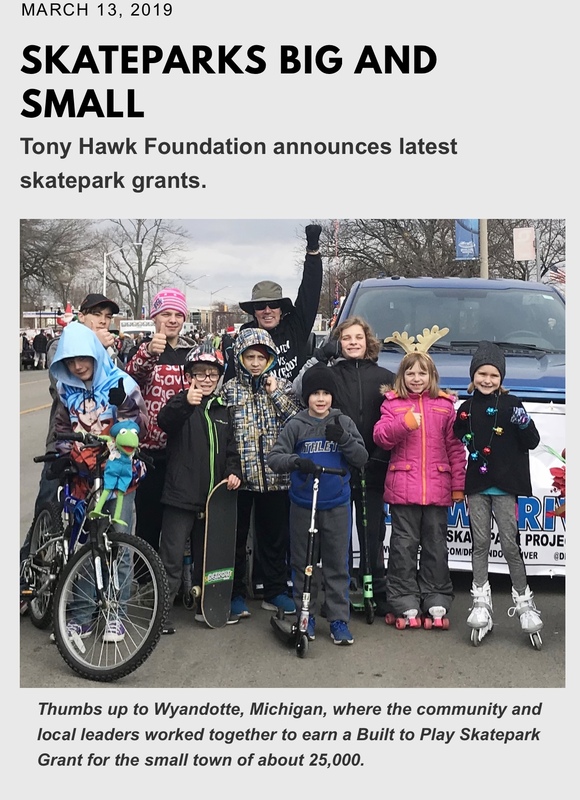 Drop-in Downriver led by Pro Skateboarder, Garold Vallie, along with other local community leaders, is now working with the Tony Hawk Foundation to secure founding for a future skate park in Wyandotte. “The skatepark-grant program is creating recreational opportunities that weren’t previously available for young people,” said Built to Play Skatepark Manager Trevor Staples. “Not only are more public skateparks being developed, but local citizens, municipalities, and organizations are working together to help make a positive impact in young people’s lives. A.G.A. Foundation, a 501c3 public charity, is proud to support this effort as its mission is to promote keeping active and staying safe through action sports, including assemblies, clinics and more. For more information on Drop-in Downriver and updates, please visit https://www.facebook.com/dropindownriver.